A temperature sensor is exactly what it sounds like – a sensor used to measure ambient temperature. 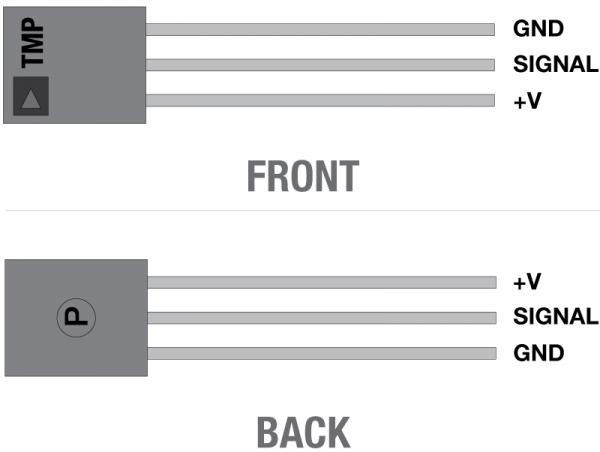 This particular sensor has three pins – a positive, a ground, and a signal. This is a linear temperature sensor. A change in temperature of one degree centigrade is equal to a change of 10 millivolts at the sensor output. The TMP36 sensor has a nominal 750 mV at 25°C (about room temperature). 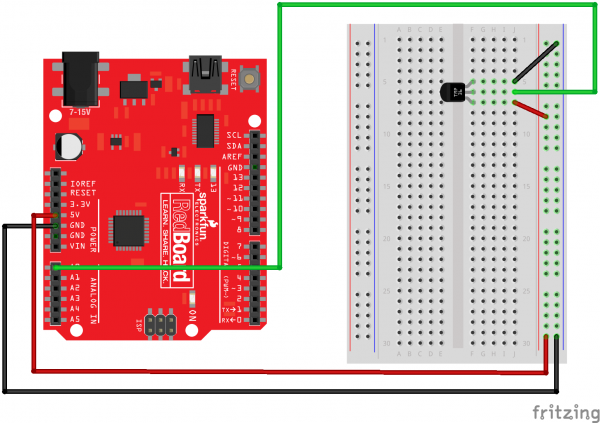 In this circuit, you’ll learn how to integrate the temperature sensor with your RedBoard or Arduino Uno R3, and use the Arduino IDE’s serial monitor to display the temperature. Open Up the Arduino IDE software on your computer. Coding in the Arduino language will control your circuit. Open the code for Circuit 7 by accessing the “SIK Guide Code” you downloaded and placed into your “Examples” folder earlier. 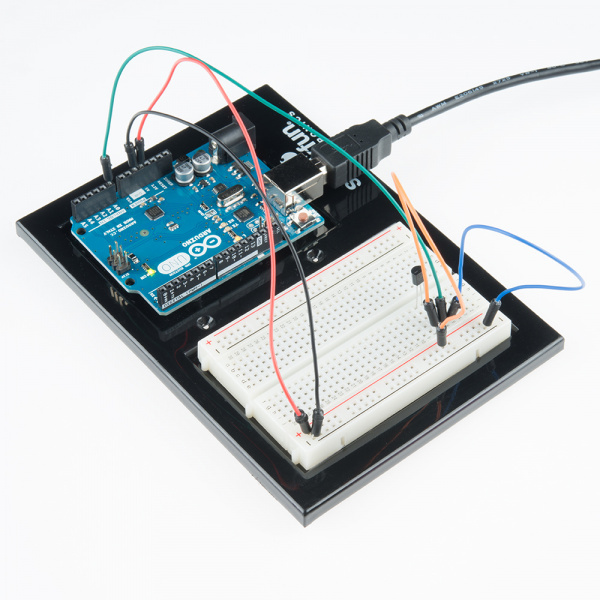 Use the "serial monitor" window to read a temperature sensor. a voltage that's proportional to the ambient temperature. like to know or control the temperature of something. 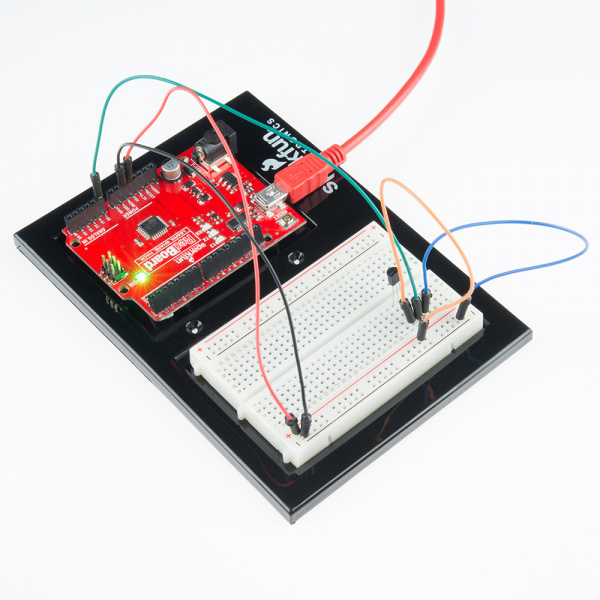 the Arduino can also easily output all kinds of text and data. ones you DON'T want will have "222" on them. Connect the 5V pin to 5 Volts (5V). Connect the SIGNAL pin to ANALOG pin 0. Connect the GND pin to ground (GND). // communicate properly, they need to be set to the same speed. // and set the communications speed. // and will transfer about 10 characters per second. // sketches. Integers are always whole numbers (0, 1, 23, etc.). // In this sketch, we'll use floating-point values ("float"). // Floats can be fractional numbers such as 1.42, 2523.43121, etc. The Serial.print() command is very smart. It can print out almost anything you can throw at it, including variables of all types, quoted text (AKA "strings"), etc. See http://arduino.cc/en/serial/print for more info. Serial.print() will print everything on the same line. Serial.println() will move to the next line. By using both of these commands together, you can create easy-to-read printouts of text and data. 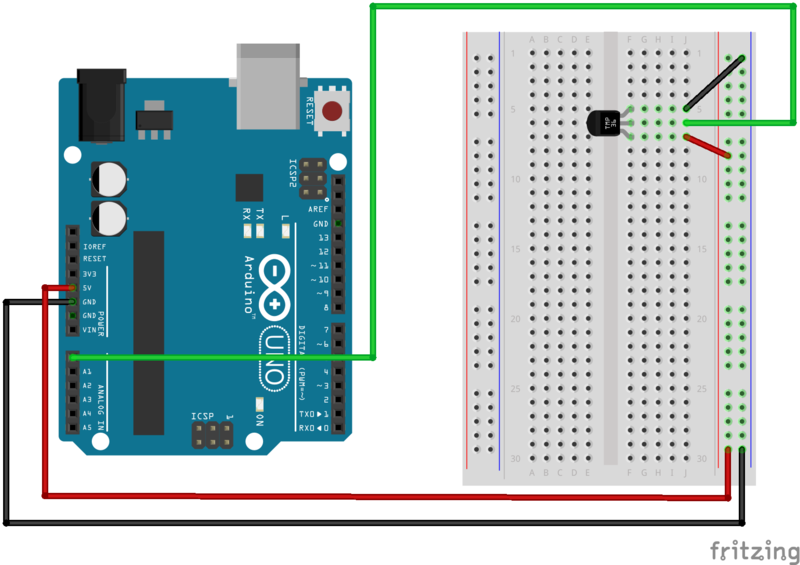 You should be able to read the temperature your temperature sensor is detecting on the serial monitor in the Arduino IDE. If it isn't working, make sure you have assembled the circuit correctly and verified and uploaded the code to your board or see the troubleshooting section. Building climate control systems use a temperature sensor to monitor and maintain their settings. This program has no outward indication it is working. 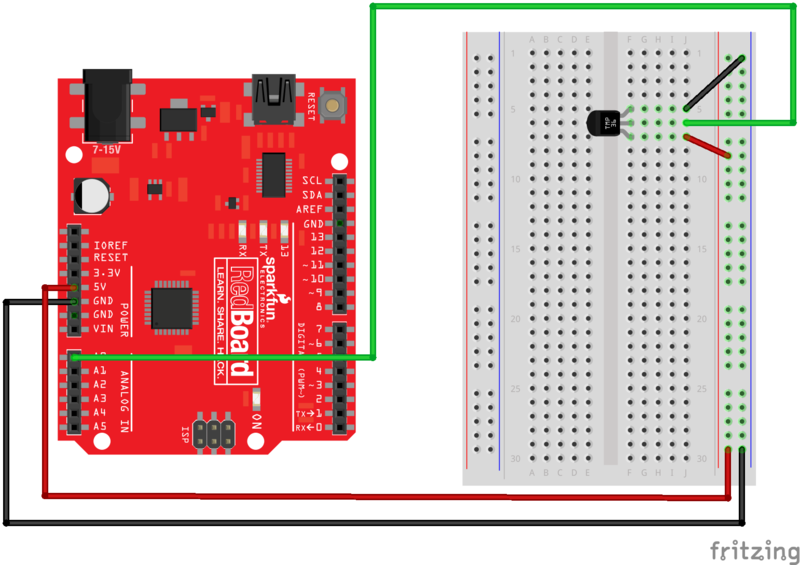 To see the results you must open the Arduino IDE's serial monitor (instructions on previous page).